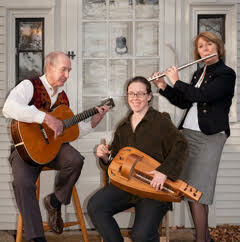 Music at Annisquam Village Church: O'Carolan Etcetera at Gore Place! O'Carolan Etcetera at Gore Place! These North Shore musicians perform the timeless melodies of Turloch O’Carolan (1670-1738). English dance tunes that Jane Austen would have known. Irish jigs and Scottish airs. And reels that set toes a-tapping. Gore Place mansion and farm in Waltham. Tuesday, January 23 at 7:30 p.m.
$15 general admission; $12 members; $10 students with ID. Free and ample parking is found next to the Carriage House.